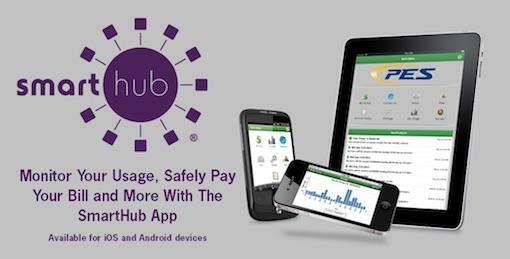 Join the connected cable network of PES Energize! With the ability to live stream up to 57 of your cable channels on your PC, laptop, iPhone, iPAD, Android and other devices with watchTVeverywhere, PES Energize goes everywhere you go! Knowing that everyone has different viewing priorities, PES Energize has packaged channels to choose from. Available in a limited area, IPTV offers the current Analog Basic and Digital Plus package channels in a pure digital format for the best quality. 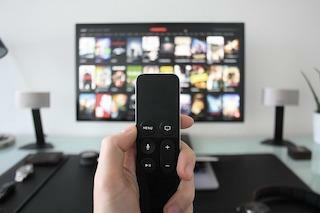 Whether you want to follow along with all the hit shows from the networks or you want all the premium movie channels – whether you want to follow every ballgame all day every day or you want to keep up with current events – PES Energize can help you select the cable package that gives you access to what you really want to watch. Pricing for your PES Energize Cable TV is designed to bring the power of cable TV at affordable prices whether you are purchasing for your family or your business. With the addition of the 20-channel PES Energize Lite, customers now have the most budget-friendly option that includes all local channels! With a subscription to any PES Energize video service, customers can add a 10/2 unlimited internet package! We can also supply extra boxes to help you hook up each of your television sets so that you can watch together in one room or split up and each watch your own programming on different sets. And if you don’t have a cable outlet in the wall you really want your TV to hang on or sit against, PES Energize technicians can “fish your walls” to install wiring to the location you pick. With IPTV, a wireless option will be available. PES Energize makes installations easy – our friendly technicians help you get things hooked up and operating. And we don’t leave you after your system is installed. PES Energize service teams are available 24/7 to help you troubleshoot your system if something isn’t working right. Just call 931.363.2522, pick Option 3 and select option 1 for technical support. WatchTVEverywhere puts 57 of your favorite channels in your hands! This is a special service available to our PES Energize customers. This feature allows you to watch your favorite shows while on the go from your computer, tablet, iPhone, etc. as long as you have internet access. You must be an active PES Energize customer with a minimum subscription to our Basic TV or IPTV to enjoy this FREE service. The new IPTV platform offers advances in technology that will allow for many more HD channel options as well as the ability to offer a Whole Home DVR system that will record up to four programs simultaneously. All programming will be broadcast in digital quality video including the old analog channels below 100 but if we have the HD option available it will be broadcast in HD and will replace the old SD version on the network. Which means, no more fuzzy, grainy video! This change also gives PES Energize more room to add additional HD content in the future. The Whole Home DVR system has many more features like a guide that allows viewing of SD programming, HD programming or Subscribed programming only. The ability to record multiple programs at once is another nice feature of this system as well as being able to watch your recordings in any room of your home that has a cable box. One of the differences in IPTV is the new remote control system. Our technicians will set it up at the installation to connect it to your cable box. For additional Remote Control information, click on Remote Control Set Up IPTV. 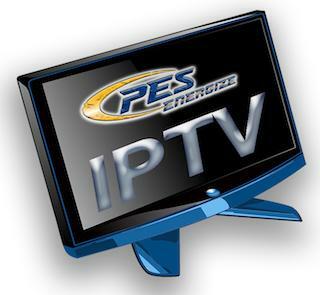 IPTV is rolling out across the PES Energize service area. It will become available to everyone over the coming months. Make it a Double Play when you add Energize Lite 10/2 unlimited internet to any residential video package for an additional $19.80! Premium Options – Pick one set or add them all! Choose a package that includes your favorite channels. Click for a full listing. Log in to your PES Energize account HERE to access cable channels!